Following up on the warnings sounded by IMF director Christine Lagarde last week (click here), journalists have discovered that far from the likelihood of a stampede of expats BACK to Britain in the event of Brexit, quite the opposite is already happening. 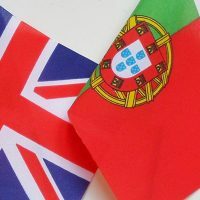 More Brits are coming to Portugal than ever before. Requests for residency are up since the referendum result and the number of Brits now officially living here has increased by 36.7%.